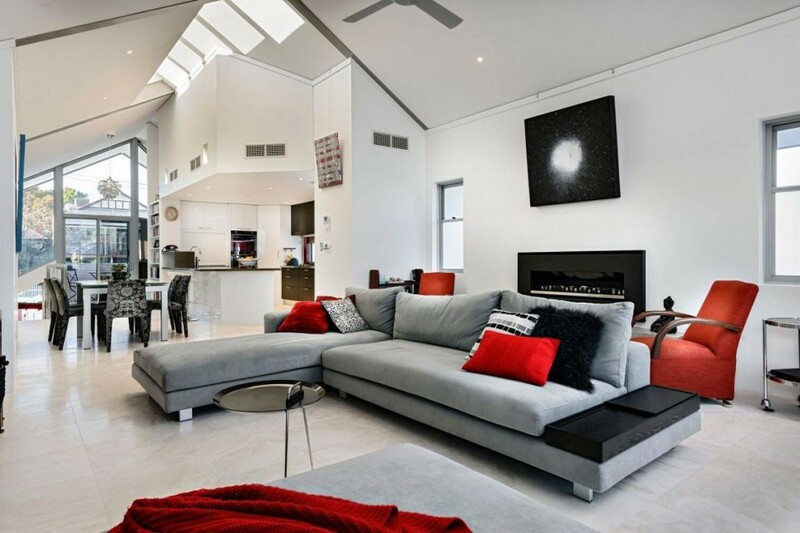 According to psychologists the color of a room has an effect on your emotions. 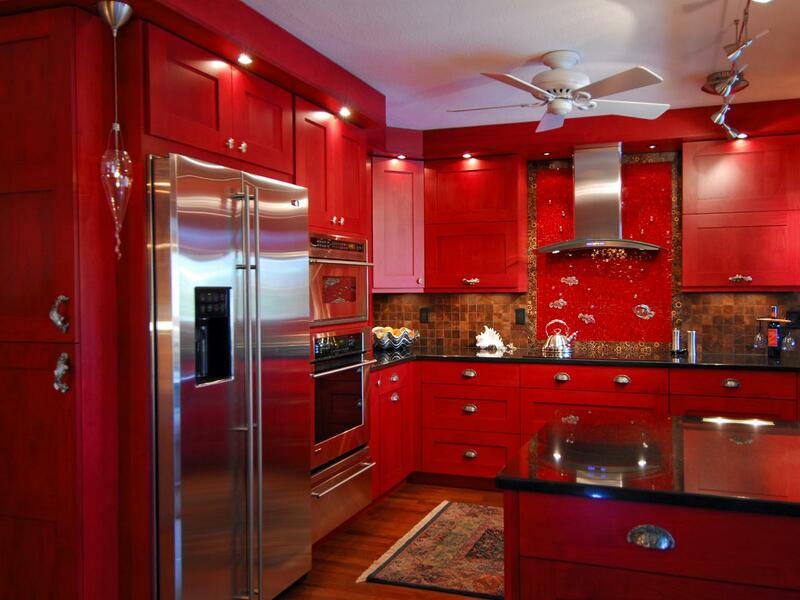 Red is associated with war, anger, strength, danger It increases metabolism, blood pressure and respirations. If your favorite color is red, according to psychologists you are aggressive, you demand attention and you strive hard for success. Hmmmm! So how do we use it in our homes? 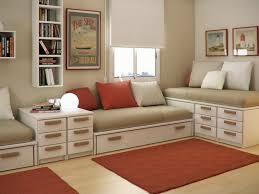 Lets start with the first room you are likely to enter when you wake up. 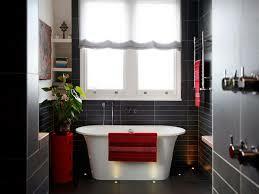 If you have a neutral colored bathroom, red towels and curtains would be a great "waker-upper." Or you could pull out all the stops and paint the walls red. The brighter the more awakening. The use of just the right amount of red in a kitchen can make it peppy. Don't overdo it. 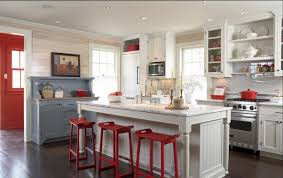 Red is said to stimulate the appetite making it a good choice for the dining room. 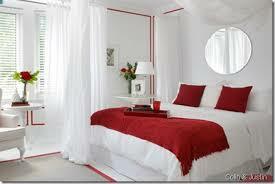 Again, use accent pieces such as a red table cloth and bits of red in white curtains and/or wall décor. 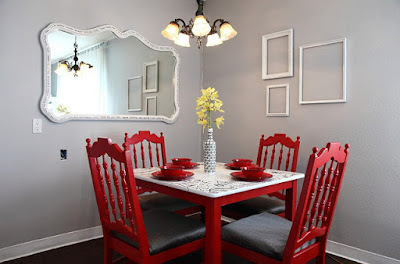 Or, as in the image below, neutral walls an d wall decor with red china and red chairs. 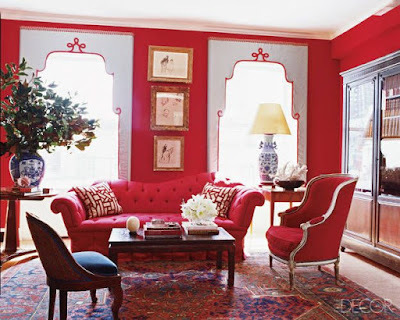 I would suggest a warmer shade of red for the living room in order to provide a more restful atmosphere. The warmer shade is obtained by adding orange to bright red. 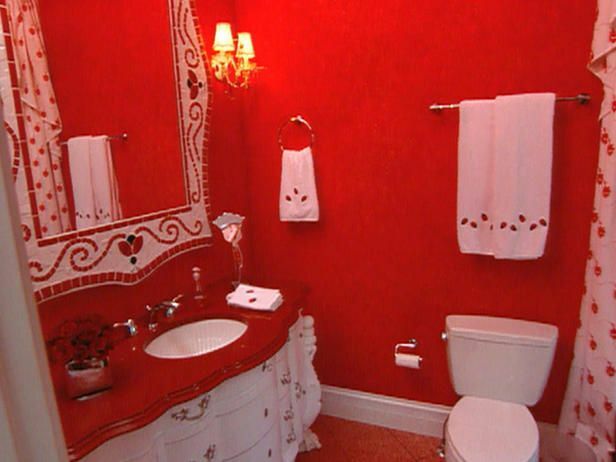 Red, being a symbol of love, is often the choice while others believe that red is too stimulating for the bedroom. If you like the color red why not go ahead and use it. 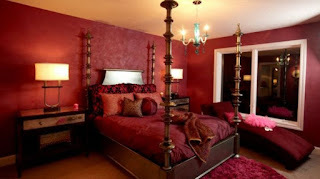 If you are in the bedroom only at after dark you will see the room by lamplight thus the colors are muted. So, how do you feel about red? Please leave your comments. All suggestions and/or opinions are invited.